Hysterical History is something you should read. 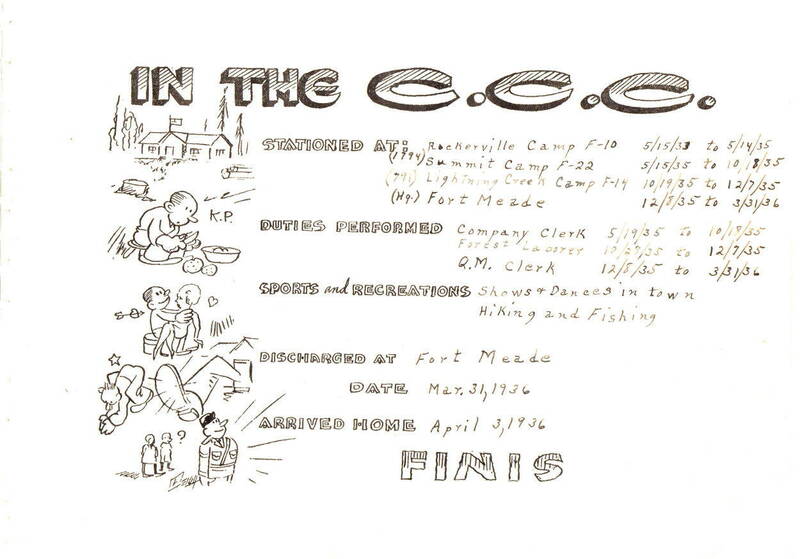 We have some great items on display at the CCC Museum of South Dakota. We receive interesting things on a pretty regular basis. The albums, handbooks and personal items always tell a story. 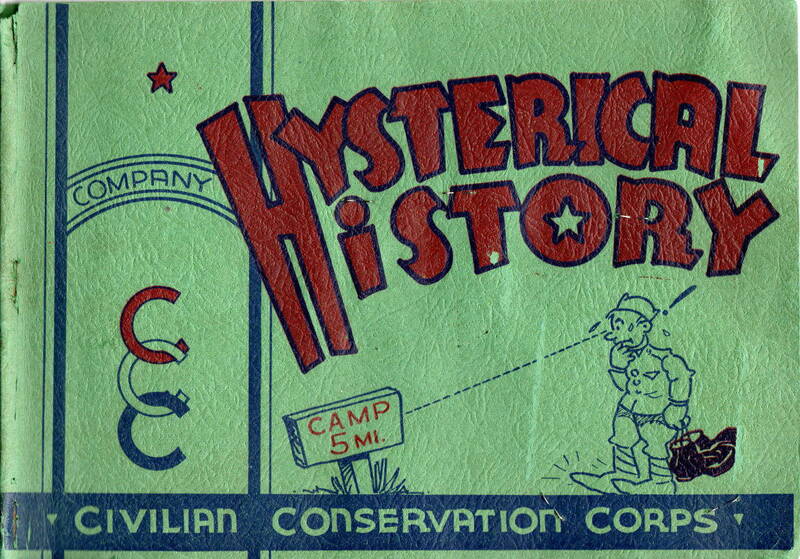 Floyd R Suess was in the Civilian Conservation Corps and donated Hysterical History. 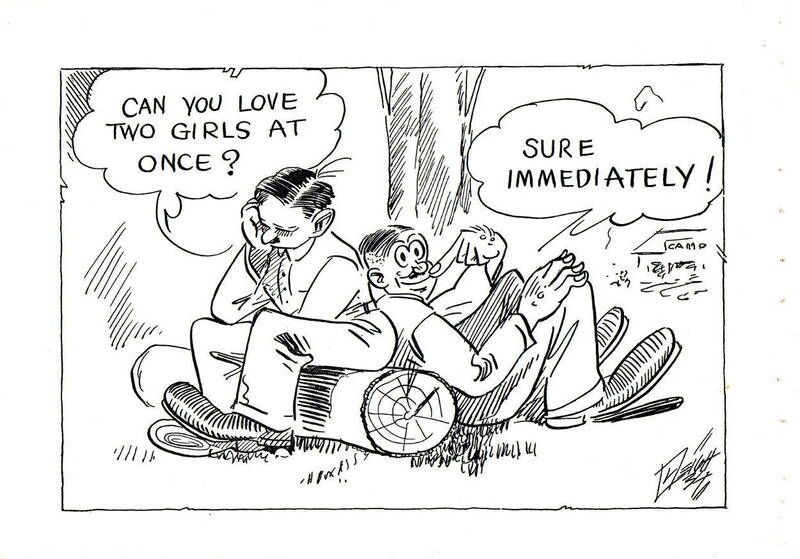 We have the original on display as well as a digitized and printed reproduction at the CCC Museum of South Dakota. Here are a couple of pages. 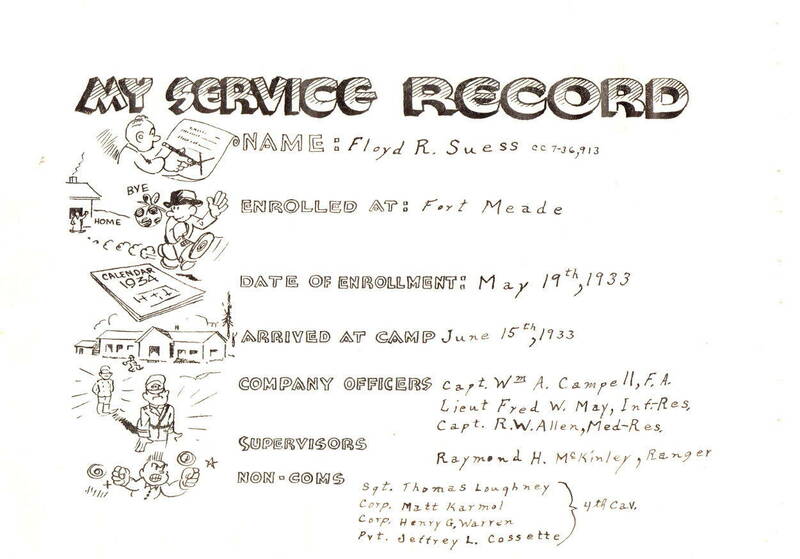 Additional pages include photos taken during the CCC days as well as hand written notes from fellow enrollees. 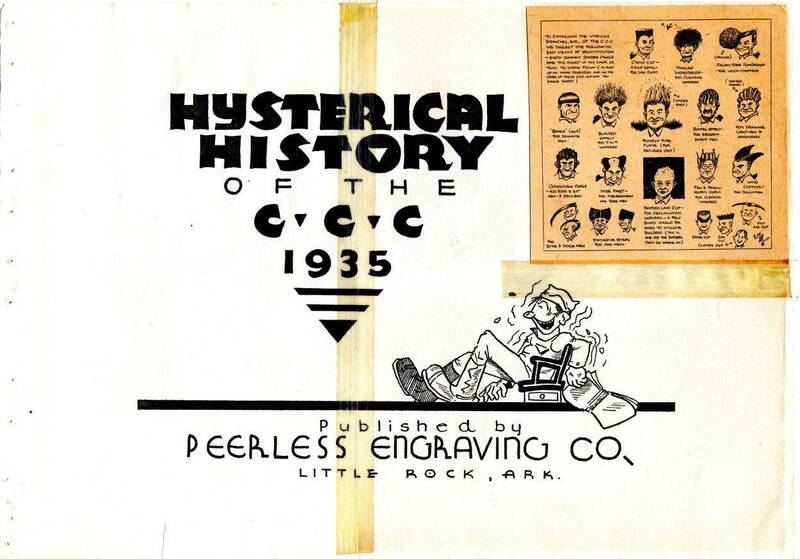 Enrolless personal album of CCC days.